I’ve been getting a lot of questions about how electric vehicles handle road trips. People are curious to know where they can charge on the road and how long it takes, and many that I’ve spoken with have strong “range anxiety” – they’re worried they’ll be stuck somewhere with a fully drained battery. 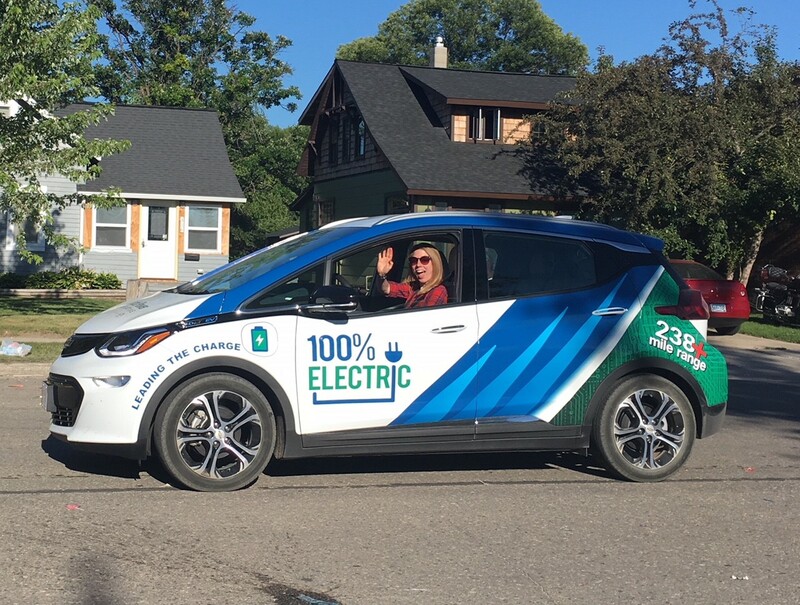 Northern Minnesotans and North Dakotans are looking for reassurance, so this week I’m hitting the road in our Chevy Bolt EV to show our members and communities that a little travel pre-planning will get you just about anywhere you need to go. This beautiful Monday morning, I start a four-day, 820-mile trip to visit all 11 of Minnkota’s member cooperatives in North Dakota and Minnesota. 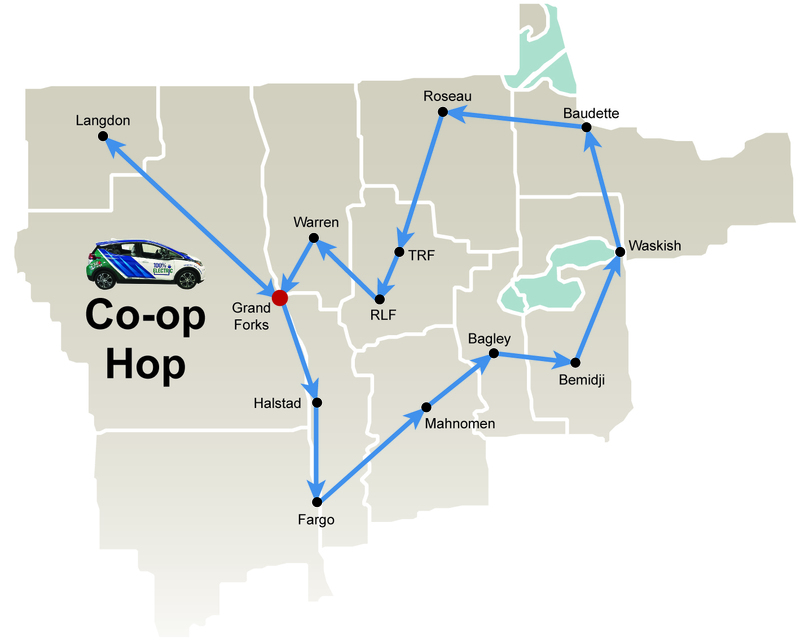 At those stops, I’ll be sharing my experiences thus far, answering questions about EVs and learning from the co-ops that have EVs of their own – I’m looking at you, Cass County Electric Cooperative and Beltrami Electric Cooperative! We're calling it the Co-op Hop. Clever, huh? Halstad, Minn. – Fargo, N.D. – Mahnomen, Minn. – Bagley, Minn.
Bemidji, Minn. – Waskish, Minn. – Baudette, Minn.
Roseau, Minn. – Thief River Falls, Minn. – Red Lake Falls, Minn. – Warren, Minn.
Grand Forks, N.D. – Langdon, N.D. Besides visiting with our co-ops, I’ll be checking out charging infrastructure along my route, logging battery data and finding solutions to challenges northern EV drivers may encounter. Hopefully there won’t be many of those. If you see the Bolt and have a question about the car or my trip, please stop and say hi! I’ll be blogging right here during the journey, so check back in for updates.